Fig. 7. Localization of DNA in membrane vesicles. 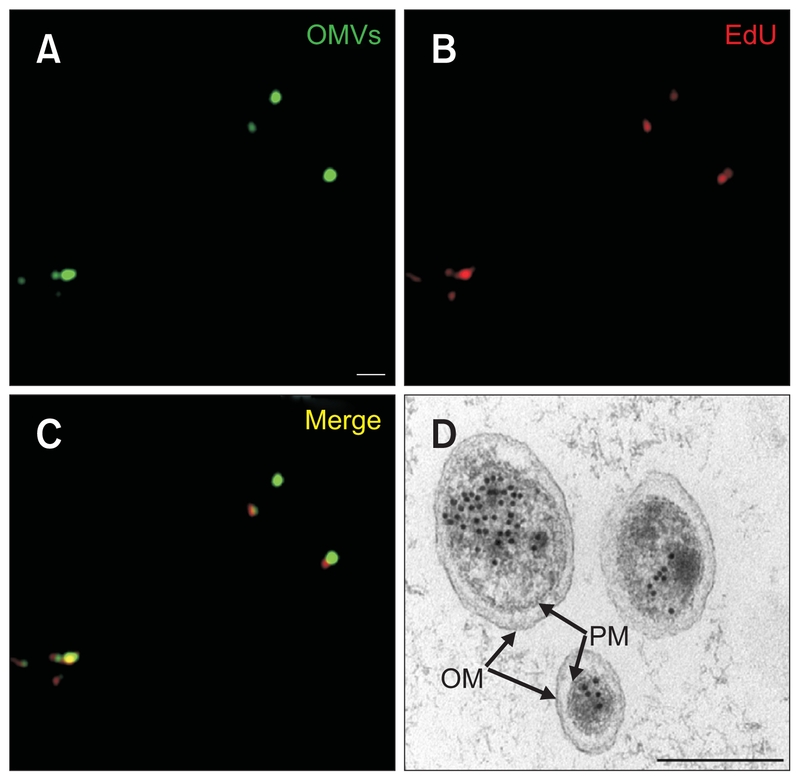 (A–C) Super resolution micrographs of membrane vesicles of Pseudomonas aeruginosa. (A) Membrane vesicles stained with the lipophilic fluorescent dye, DiO (green). Bar=1 μm. (B) Membrane vesicles stained with the DNA-specific dye, 5- ethynyl-2-deoxuridine (EdU). (C) Merged image of (A) and (B). (D) Transmission electron micrograph of membrane vesicles of Shewanella vesiculosa. Electron-dense particles indicate gold particles with an antibody specific for DNA. OM, outer membrane; PM, plasma membrane. A–C: from ; D: from with permission from the publisher.